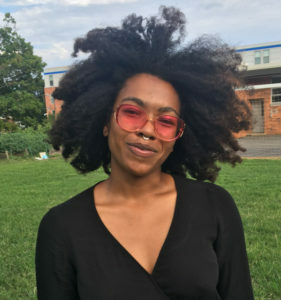 My name is Ciara Williams and I am the FAO Schwarz Fellow with Mural Arts’ Restored Spaces Initiative in Philadelphia, PA. Restored Spaces uses socially engaged public art as a platform for neighborhood change. 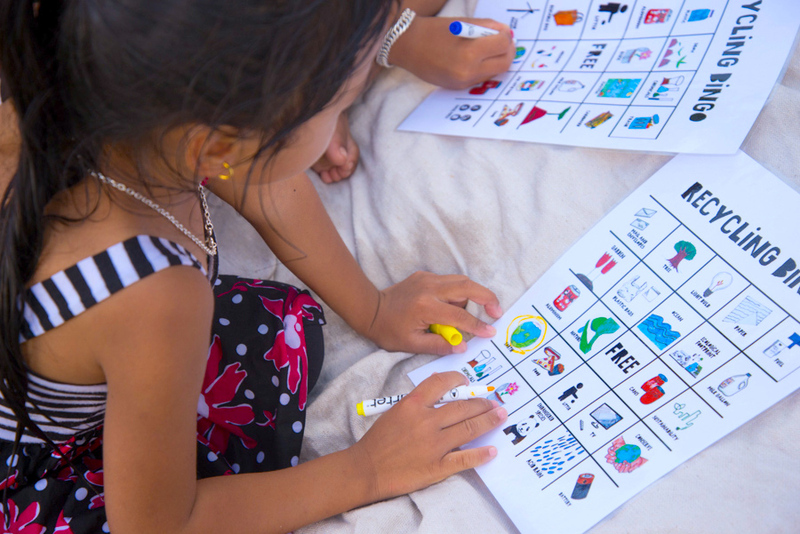 Our projects use innovative approaches to community engagement; one approach is similar to participatory action research because of it’s collaborative and action-oriented approach to meaning-making. When starting our projects, it’s important for us to get a sense of the trades, skills, social relationships, resources, and cultural traditions that can shape our projects. We also seek to understand the activities, social relationships, and material resources our projects can possibly support or make possible. Essentially and ideally, we become engaged in a process of collective imagining and re-imagining of the environment through the creation of public art and the redevelopment of public space. Trash Academy, like many of our other projects, is informed by this model of community engagement and art making. Trash Academy is a collaborative effort to understand and address the issue of trash in Philadelphia. We use creative, arts based solutions like teach-ins, student designed games and activities, and public art installations. Trash Academy is structured as a “collaboratory” between community members, business owners, artists, environmental activist, and youth. In summary, Trash Academy is designed to connect individuals and communities to resources that are already out there. We then work with those most directly impacted by the issue of trash in order to generate, test, and share new solutions. Through our efforts, we seek to understand trash as it is experienced locally; so people’s on-the-ground experiences and how they may relate to larger systems of production, consumption and disposal. This is accomplished through surveys, interviews, and casual conversation at our local events. We are committed to the development of youth and community as researchers. To develop as leaders and experts in trash, participants produce art that is meant to educate our audience and spark conversation about how trash is managed. While we are engaged in the research and data collection phase, we create games and activities designed to share what we have learned. An example of this is the Trashmobile. The Trashmobile is a mobile educational tool created to meet people where they are. We are invited to events all across Philadelphia to engage people around the issue of trash. 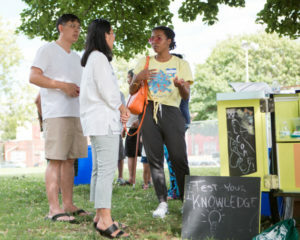 When it comes to equity and the principles of environmental justice, it is important that those who are the most impacted are directly involved in understanding and addressing the issue of trash. 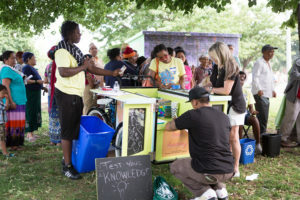 Participatory action research and the Trashmobile brings us closer to our goals of inclusion and civic participation. These tools allows us to understand the nuances in how people experience trash while also creating opportunities for people to become more directly involved.